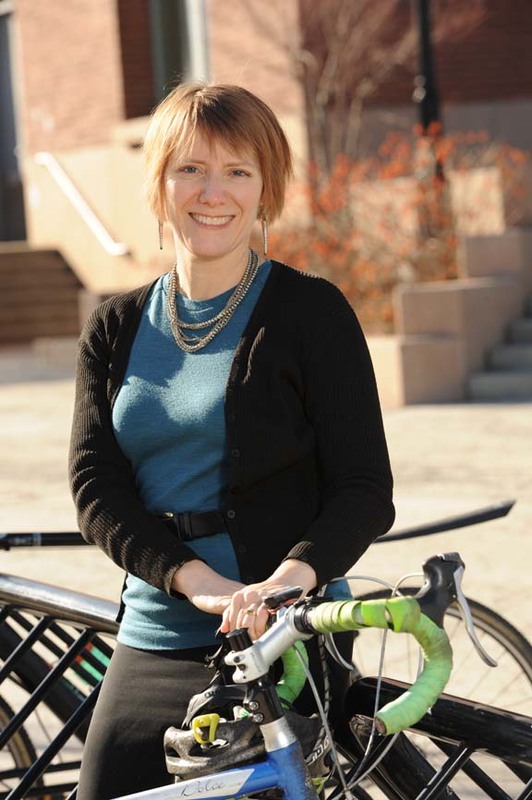 In 2012 that led to me being named executive director of Washington Bikes (formerly the Biicycle Alliance of Washington. I led us through a merger with Cascade Bicycle Club, creating the nation’s largest statewide bicycle nonprofit and expanding capacity for our mission. More recently I was named the first Director of the newly created Active Transportation Division at Washington State Dept. of Transportation, where I started working March 1, 2017. If you don’t read anything else on the blog, read this. If you have a few more minutes you could read this on my personal blog. Oh, so many committees… I won’t even list them all. If you’re really fascinated by my professional activities you can look at my LinkedIn profile. For the fast version of my bike career check out the story I told in the opening plenary session of the 2017 National Bike Summit. 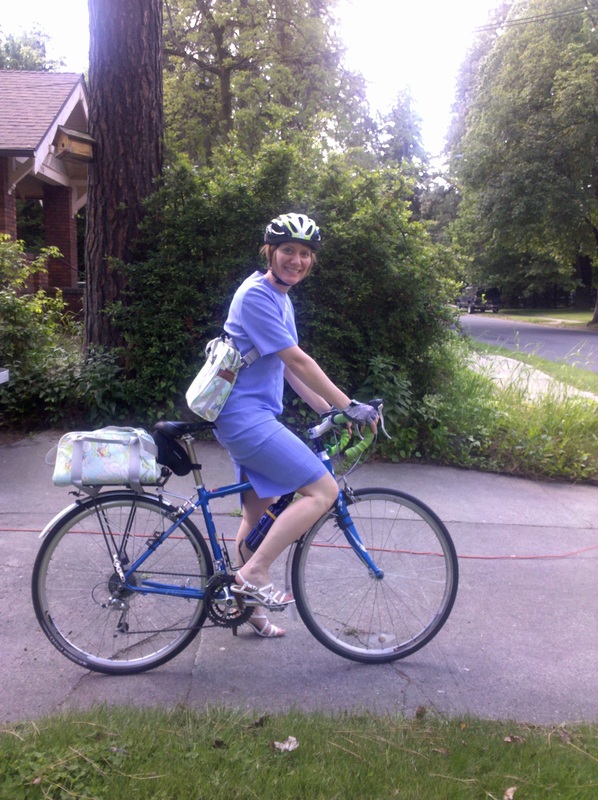 Where else to find my writing: I write a sporadic personal blog at Bike to Work Barb. Some of the posts here on Bike Style originated there. I also tell you more about myself beyond biking on a page there that includes a link to every blog post I’ve ever written, if I didn’t miss one or two along the way. I finally realized I had so much to say about biking I should turn that subject into its own blog, and here you are. I focus on women biking because it’s so tough for women to find a hospitable point of entry into biking, yet we represent over half the population and if we feel safe enough to ride it’s safer for everyone. Women are the indicator species for biking, according to Scientific American. Happy biking! I was curious if I could ask your opinion on a matter. About 7 years ago I hurt my back and every so often I agrevate it. aggrevating it more. When Im cycling I feel the best. Barb — I need your email to send you questions for a story. Mine is above. Howdy Barb — Can you get to these, and at the bottom, a contact or two in SP CO and Spokane around walking and active transportation? 1. What sort of push do governments, non-profits, and activists have to make toward really putting in strong measures for active transportation education and infrastructure? 2. That stat – 10,000 Baby Boomers turning 65 each day in the USA – bring some perspective on how biking and walking planning and enlightenment can react to and address this looming aging fact. 3. How do we make biking a real solution to poverty-stricken lives as their main or major mode of transportation with so many strikes against Active Transportation in our culture? 4. What is up with getting more women to ride? What sort of historical impediments are you addressing and is this a cultural shift you see? 5. Major pluses you got from the OATS in Salem? 6. What was the best presentation, why, who, what? 7. What sort of active transportation issues do you work on around mass transit and walking? 8. We have walkability audits like what Feet First does in Seattle. What sorts of bikability audits take place, and can you shoot me a pdf? 9. What can a city like Spokane to do around really making pedestrian activities and viable choices over car ownership a reality? 10. Is Active Transportation in a place like Spokane and many of the 30,000 or so municipalities in the USA tied really directly to public mass transit? 11. What is your biggest contrasting observation you are realizing in this new role as ED for Bicycle Alliance? 12. What is your job description? 13. People I work with in low income areas tied to getting more women of color walking (and, I guess, biking) see that the Portland- and Seattle-centric thinking about biking and smart growth and new urbanism hurts the cause. How do we work with that, or you, that is? 14. What does Spokane need to do better with Active Transportation? 15. What is Spokane and County doing well? Well, I didn’t get to get you in on the conversation for the biking story I did, which is attached, but now I can. Send me a phone number and/or email if this is not the best place to contact you. Nice seeing you at Oregon Active Transportation Summit in Salem. Answers are up to you. Who in Spokane can I contact about walking and aging planning and education? What separates this multi-tool from the huge amount of multi-tools on the market already lies in its innovative design; with 24 features included seamlessly in a solid titanium cast. The Repair Rebel is a lightweight consolidated alternative to carrying numerous tools along on the job. It may be attached securely under a bike seat, in Bike bag, or attached to a backpack. I came across your awesome site and noticed all the great bike information you have. I especially liked the list of various blogs you had listed! As I was reading I thought you and your readers could benefit from a graphic our team created on “The Ultimate Guide to Bicycle Safety”, which we created to educate and help cyclists stay safe while riding. If you have a spare minute, please feel free to take a look at the guide http://jknylaw.com/bicycle-safety/ . And if you like this graphic, please feel free to link it to your site! 🙂 I look forward to hearing your thoughts on our project, thanks! I am a public health graduate student at Emory University and a long-time cyclist. As you and your followers are on “the quest for the intersection of Style and Comfort,” I am the quest for designing stylish and comfortable women’s and men’s bike-friendly apparel. I am currently looking for people that I can contact to administer some market research to better understand what it is people are looking for in this type of clothing. The more information, both quantitative and qualitative, I can gather the better I can identify people’s needs and design accordingly. Would you be willing to help me with this research in terms of being a participant for answering questions and possibly a survey? Also, would you be willing to post information regarding my intentions and access to a survey on your website for your followers to participate as well. All this will be an enormous help for me in order to find a way to serve you, your followers, and the other cyclists out there. Josh, sorry that I just saw this–if it’s not too late I’m happy to participate. Emailing you now! The womens’ blog list is so fantastic – wish I’d found it sooner! I’ve been trying to submit a few more for your list (including my own) but find the form keeps producing a “failure” notice. Can I submit the required details to you by e-mail somehow? Keep up all the great work please. Great job. We need more women (or men!) out there just like you, thank you for all your activism that benefit other cyclists – and eventually, as you say, everyone else, especially our kids! I’m a writer and a founder of a an all-women’s cycling sportif. I’d like to know how I can get my women’s cycling blog added to your list and talk to you about my event. We’ve just launched our own cycle helmet range on Kickstarter, and thought we’d approach you as we share your belief in style, comfort and safety on the road. We’re London-based, so we’re launching first in Europe (product out April 2015) and reaching the US and Canada later in the year (we’re aiming for September 2015). We’re trying to whip up interest to get moving… is there any way you can feature us on your blog? Gene, I don’t check comments on this blog very often. Sorry about that. Nicole, there’s a form on the page at womenbikeblogs.com to submit the blog. I do updates 1-2 times/year.